Play this excellent free online game conversion as Sonic Knuckles, Tails or Cream - click start to play. Use your arrow keys to move and the up arrow to jump. Sadly, there is only one level in this demo version, but I hope you have fun, nonetheless. 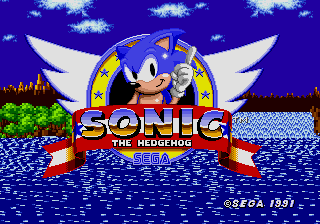 Sonic the hedgehog was first launched in 1991 on the genesis (mega drive), and quickly became sega's No.1 game. 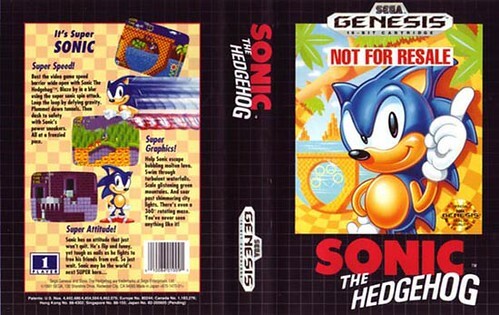 The 2D platform game was first released on the genesis and due to its success was then ported to the Master System and Game Gear. Sonic's main enemy in the game is Dr.Ivo "Eggman" Robotnik who wants to take control of the Earth and destroy the loveable hedgehog.